In May, I wrote in an opinion piece for the San Antonio Express-News that “Texas Democrats, for once, have the right candidates, the right strategies, and the right political environment to mount a comeback and win.” Although I still believe that Beto O’Rourke is a fantastic candidate who is running a strong campaign for U.S. Senate, and that down-ballot congressional candidates will benefit from a favorable political climate, Republican Pete Flores’ upset win in the special election for State Senate District 19 on Tuesday reminded me of one factor I forgot to consider: The Texas Democratic Party’s utter incompetence at campaigning. Quite simply, the state party completely lacks anything resembling electoral infrastructure in much of the state. According to the party’s website, 26 Texas counties lack a county Democratic chair — more than 10 percent. In many more counties, especially rural ones, the chairperson constitutes the entirety of the county’s party infrastructure. Without local clubs, dedicated volunteers or sufficient monetary resources, turning out Democratic voters in these counties is virtually impossible. In the urban areas where Democrats are favored, dishearteningly frequent infighting such as this year’s brawl within the Bexar County Democratic Party can cripple Democrats’ ability to turn out voters. 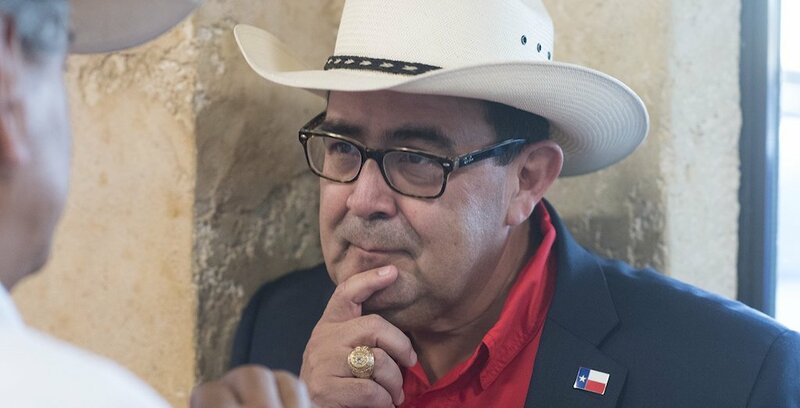 Democrat Pete Gallego’s loss in the SD-19 special election to replace Carlos Uresti, currently appealing a 12-year prison sentence for 11 felonies, was only an indication of a larger problem. The traditionally Democratic district — it voted for Uresti by 15 percent in 2016 —only became a winnable seat for Republicans because of weak Democratic Party infrastructure. In a special election, turnout is crucial. Unfortunately for Gallego, the Bexar County Democratic Party must have missed the memo, as Gallego only won the traditionally deep blue county, the most populous in the district, by around 7 percentage points. He also won narrowly in six smaller blue counties, but in ten of the district’s 17 counties, where Democratic Party resources are severely lacking, the far better organized Republican Party of Texas was able to mobilize voters to overcome Gallego’s lead. The fact that low turnout allowed SD-19 to swing towards Republicans by 21 percent from 2016 to 2018, a year in which Democratic enthusiasm is high nationwide and President Trump is extremely unpopular with Democrats, is a terrible reflection on the state of the Texas Democratic Party as an organization. While the result in SD-19 might be a highly visible indication of the state party’s weakness this election cycle, Democratic campaigns across Texas have had to deal with minimal resources from the party for months. Speaking regularly with staffers on numerous campaigns, I’ve become acutely aware of their frustration with the state of the state party. It’s not surprising that the highest-profile and most viable statewide campaign in Texas, O’Rourke’s bid for the Senate, is operating largely independently from the party, with O’Rourke’s team building its own voter contact programs and rarely scheduling events alongside the rest of the statewide ticket. If Democrats are serious about making Texas competitive long-term, relying on the national political environment or enthusiasm for one particular candidate is insufficient. Flores’ victory in SD-19 demonstrates clearly that the Texas Democratic Party must undergo significant reform and begin rebuilding its county-by-county infrastructure to effectively compete with Republicans.